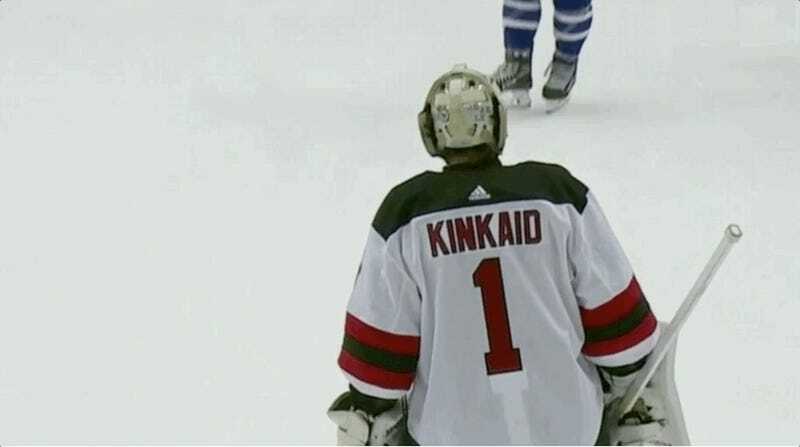 It was a tough night for New Jersey Devils goalie Keith Kinkaid. The backup-turned-starter was on the wrong end of a 6-1 shellacking from an Auston Matthews-less Toronto Maple Leafs. After allowing just one goal in the first period, Kinkaid let four pucks get past him in the second. None of the scores, however, did a better job of capturing just how poor of a night the goalie was having than Morgan Rielly’s top-corner floater that came all the way from the blue line. 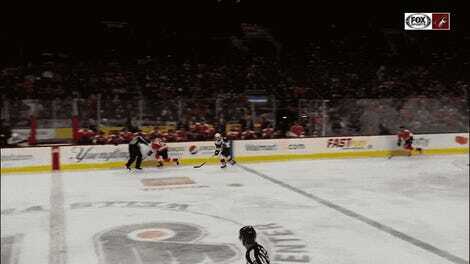 Rielly would apologize to Kinkaid moments later for scoring such a savable goal. The apology likely goes beyond Rielly just doing what Canadians do best. Not only did that goal put Toronto up 5-1, but Kinkaid also let that soft shot get by him with Devils legend Martin Brodeur in the crowd. If anyone needed to hear some mild words of encouragement at that time, even if it was basically “sorry for embarrassing you,” it was that goalie.